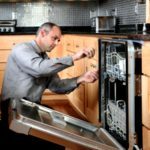 Kitchen Plumbing Fixtures & AppliancesThe Casarella Company LLC provides a wide variety of kitchen plumbing fixture installation and repair services throughout Central Connecticut. From new construction kitchen appliance installations to repair and replacement of existing kitchen sinks, garbage disposals, dishwashers and refrigerators. The Casarella Company LLC uses only top-of-the line products. Our experienced plumbing technicians are available to repair or replace existing kitchen plumbing fixtures and appliances. Some of our services include garbage disposal installation, water line connections to your refrigerator, repairing leaky kitchen faucets, connecting gas lines to ovens and much more.